Beachside is a beach cabin ideal for a couple or a small family. Situated close to the sand dunes leading onto Heacham's South Beach and with lovely river views from the back garden. It has been finished to a high standard with a light, contemporary open plan kitchen/dining/sitting area looking across the dunes, with a king-size bedroom, a bunk room and a shower room at the rear of the property. This is a lovely place to stay throughout the year as it's toasty warm in the winter with its electric thermostatic heating and perfect for summer holidays too. The quiet beach is safe for swimming and wind-surfing, and perfect for bird enthusiasts being close to the RSPB Reserve at Snettisham. It is located adjacent to Neptune (sleeping 6) - perfect for friends and families who wish to holiday together! 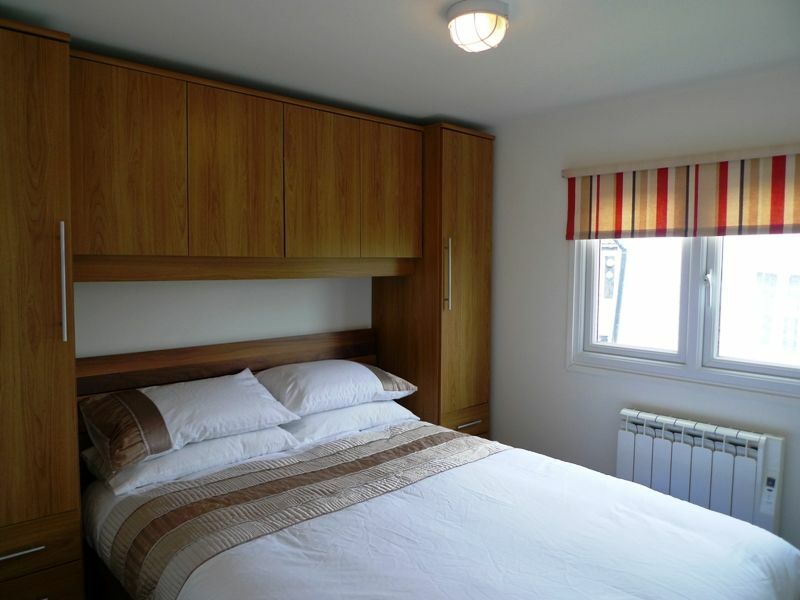 Has been furnished in a contemporary coastal style and has the advantage of a modern heating system to ensure this is a warm and comfortable place to stay throughout the year. There is an open plan kitchen/ living area with views across to the dunes. Kitchen area: fitted with an integral electric oven and halogen hob, an integral microwave and a fridge (with an ice-box). There is a table with 4 chairs. Sitting area: has a French door with views across to the beach. There's a leather sofa, 2 chairs and a wall- mounted TV. Bedroom 1: decorated with a king-size bed and built-in bedside units to provide ample storage space for clothes, tv plus a full-length mirror. Bedroom 2: decorated with full-size bunk beds with storage units under. Shower room: has a walk-in shower with powerful electric shower, hand basin and WC. At the rear of Beachside is a lawned garden which overlooks the river and has lovely rural views. There is a post and rail fence and gate between the garden and the river, but please note that this is not secure for small children and they should not be left unsupervised. Great location and price.​ Relaxing and comfortable. Beach to the front and river behind, best of both worlds.